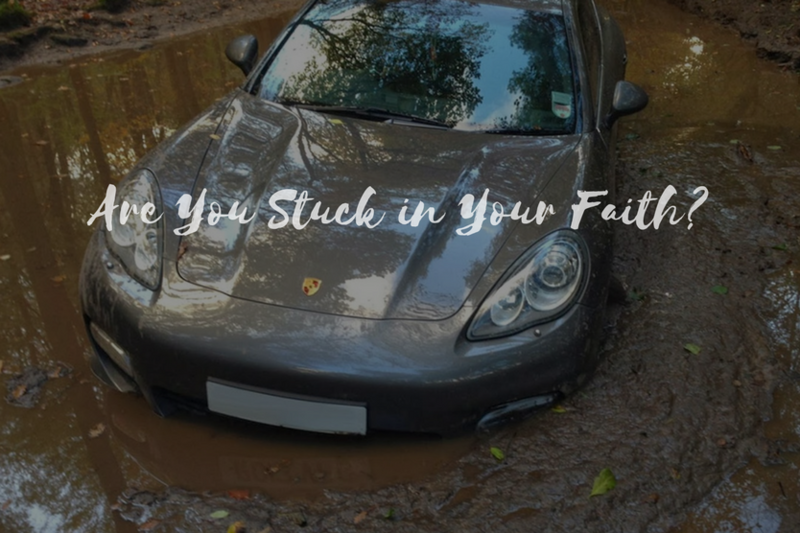 Are You Stuck in Your Faith? I want to ask you a question that may be the most important question for your life in Christ. Is your faith static or are you growing in Christ? Are you stuck where you’ve been for months or years? I don’t know how you will answer the question, but the question and its answer is vitally important. I also know this: God wants you to grow in Christlikeness. In fact, there is no question about what God desires for you. First, He wants you to be formed in Christ. Some people talk about “spiritual formation,“ that is, how we grow to become like Christ. Paul talked to the Galatian Christians about their being formed in Christ. As Paul worried over their temptation to go back to legalism, he said, “My dear children, for whom I am again in the pains of childbirth until Christ is formed in you“ (Galatians 4:19). Second, God wants you to be conformed to the image of Christ. “For those God foreknew he also predestined to be conformed to the image of his Son, that he might be the firstborn among many brothers and sisters” (Romans 8:29). God wants you to be like Christ in your thoughts, habits, and disposition. Isn’t it amazing to think that God cares so much for us that he wants us to be like Him and in Him? God deeply desires for us to become as He is, and He provides the means to make that happen. Isn’t it also amazing that our disposition can change? Think of Paul. He went from a persecutor and a hater of Christians to the greatest missionary, evangelist, and theologian of the church. God changes thoughts, habits, and dispositions. Richard Foster noted that Christ shows us the way to live so that we increasingly share His love, hope, feelings, and habits. Third, God wants to transform you. This transformation is amazing as God makes us new creatures. The word for transformation is “metamorphosis,” the word used to describe the caterpillar becoming a butterfly. None of this can happen without intense action on our part. With that desire and submission to Christ, we can grow in Christ-like habits and disposition. Would like to receive each of my daily devotionals? You can sign up for your own free copy at waylonbailey.com.